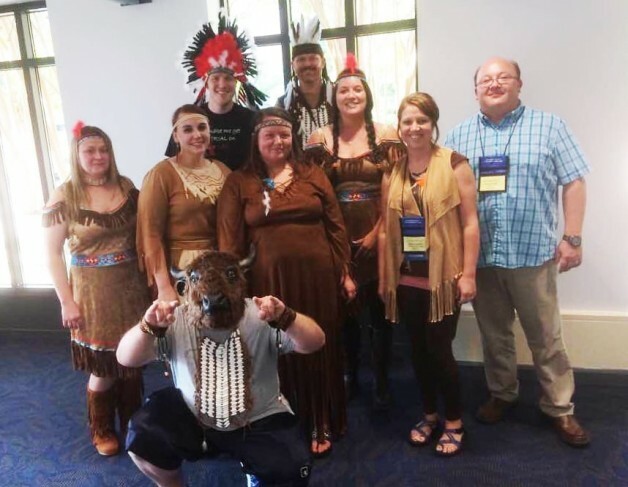 Respiratory Care students from Black River Technical College participated in the Annual Sputum Bowl in Hot Springs. The Sputum Bowl is a ‘quiz bowl’ competition, sponsored by the American Association for Respiratory Care, in which trivia questions related to respiratory care are asked. Each state hosts an annual Sputum Bowl to determine state winners to represent their state at the National Sputum Bowl Competition. This year, nine college teams competed. BRTC students placed third in the competition earning a team trophy. Teams from all over the state came together to participate in the 4th Annual Cystic Fibrosis Walk to raise awareness and funds for the Cystic Fibrosis Foundation. This event is part of the Arkansas Society for Respiratory Care’s State Meeting and Educational Seminar. Awards include Best Team Costume, Most Participation, and Most Funds Raised. BRTC students were voted Best Costume overall. For more information about Respiratory Care at BRTC, call (870) 248-4000. Team Members: Ashley Purcell, James Wiggins, Lauren Pate, Samantha Jones, Kristine Smith, Tim Gregson, John Ballard, and Jason Linam, Program Director.